This season, Valleydez is all about contrasts; making a statement with metallic colours and structures while maintaining a soft femininity through pastel shades, delicate accessories, embellished skirts and a selection of sophisticated dresses. No outfit is complete without one of Valleydez’s exclusive collection of trendy handbags and statement clutches. 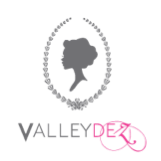 This season, Valleydez offers a variety of collections and designers to choose from, so you are sure to find the right hand bag to embolden your wardrobe. 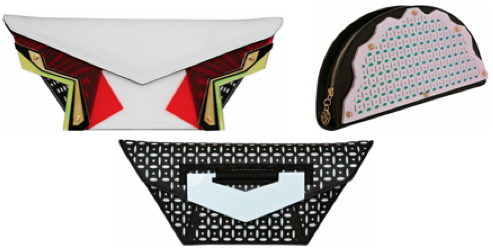 Add fun and style your outfit with a range of trendy clutches by Benedetta Bruzziches. A collection that is sure to add a touch of exclusivity to your personality, each clutch has a story to tell. The perfect arm candy for daytime outings, La Facette’s striking collections, consists of trendy yet simplistic handbags, inspired by eye-catching colour prints. The brand’s mission is to create playful and stylish bags that can transcend time. Choose from the beautiful selection of Kzeniya clutches that incorporates a luxurious colour palette, geometric shapes, and delicate embellishments. Inspired by paper folding techniques and sculptural shapes, this collection features layers of engraved, laser cut leather and perspex plastic in various colours. A trip down memory lane, interpreted very modern. Stylish has never looked so big with Loup Noir’s exclusive collection of hand painted bags. A timeless classic, this range is for those with a love for striking colours and varied shapes.